A Superior Air Conditioning Company is showing its appreciation to veterans and first responders in Northwest Florida. The support of Harley-Davidson of Panama City Beach, Beachy Beach Real Estate, Coca-Cola and Booyah Mortgage has granted Iraq War veteran Jimy Thorpe the opportunity to promote this program and the giveaway of two complete heat and air conditioning systems on April 12, 2016. I’m blessed to have the support of Harley-Davidson of Panama City Beach, Beachy Beach Real Estate, Coca-Cola and Booyah Mortgage, who have helped promote and support this program. A Superior Air Conditioning Company in Panama City Beach is showing its appreciation to veterans and first responders in Northwest Florida. The support of Harley-Davidson of Panama City Beach, Beachy Beach Real Estate, Coca-Cola and Booyah Mortgage has granted Iraq War veteran Jimy Thorpe the opportunity to promote this program and the giveaway of two complete heat and air conditioning systems on April 12, 2016. A Superior Air Conditioning Company is a veteran owned and operated local HVAC Company Servicing Panama City Beach and Destin. This giveaway is a token of gratitude to all veterans and first responders who have given their time, duty and lives for the freedom of their country and community. 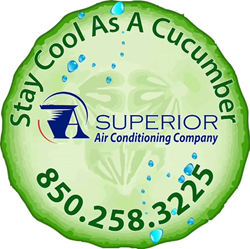 A Superior AC is known for its commitment to providing community oriented service and support to active and retired military and law enforcement officials, covering the Bay, Okaloosa and Walton county areas. A Superior AC has partnered with Harley-Davidson of Panama City Beach and Beachy Beach Real Estate in the past to create unity among various officials in the fire department, police and sheriff departments, and emergency medical techs as well as veterans and military officials. This giveaway celebrates what veterans and first responders do every day to keep our community safe. If you are a veteran, active duty or first responder, or know of one in need of a new heat and air conditioning system, enter A Superior AC's Vets Helping Vets & First Responders giveaway (ASuperiorAC.com) for a chance to win a full heating and air conditioning system. The deadline for the next entry is April 1, 2016. A Superior Air Conditioning Company is a local Air Conditioning Company in Panama City Beach and is open 24 hours a day and seven days a week, working with all trusted brands and manufacturers to bring reliable service to the Northwest Florida Community. A Superior AC provides repair, installations and sales, indoor air quality testing, air duct and vent cleaning, and preventative maintenance of equipment. Financing options are available. 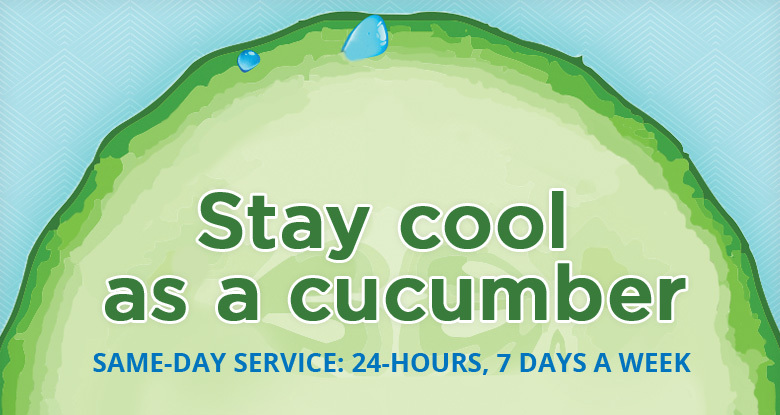 As the heat begins to rise outside, make sure you contact the team at 850-258-3225 to Stay Cool as a Cucumber!